For this occasion, I have decided to include all the photos from my womenswear selection of Pitti W (Pitti Woman; the smaller version of Pitti Uomo, devoted to women's fashion). Featuring special installations and projects such as the Guest Nation initiative, dedicated to showcase new names and talents in fashion scene from all around the world, Pitti W for its 11th edition has presented an interesting selection of designers coming from Denmark, a country known worldwide for its cutting edge fashion. 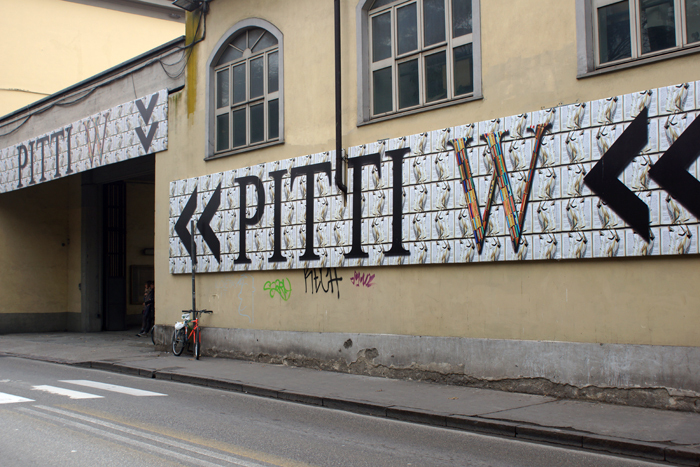 Also, the Bookswear Mania concept and alike decoration from Pitti Uomo were conserved in this part of the tradeshow.